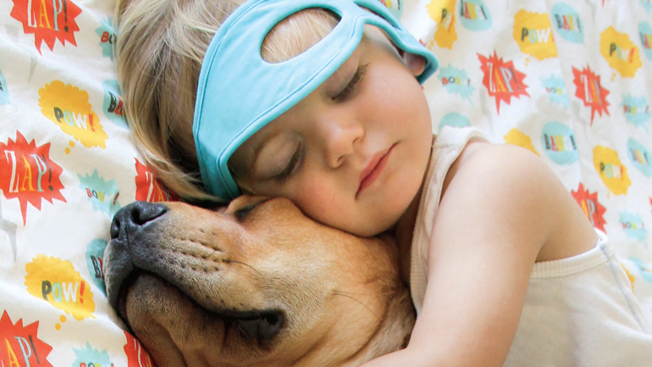 Last fall, Jessica Shyba's photos of her son and new puppy napping together went viral. Shyba's blog about life with three kids in NYC, Momma's Gone City, was already fairly popular, and she had a respectable 5,000 Instagram followers. But her #theoandbeau images made her an overnight sensation. Soon she had 450,000 Instagram followers. The Land of Nod, the retail brand geared to parents of young children, saw the potential in capitalizing on the success of Theo and Beau. So, it reached out to Shyba to commission a photo for the cover of their May catalog. And the result was clearly a win-win. "The Land of Nod is a brand that fully embraces social media from many facets, whether it be product sneak peeks, behind-the-scenes of corporate life or partnerships with innovative and energetic bloggers," Katie Harrington, a public relations and social media strategist at the company, tells AdFreak. "We were working with Jessica on a bedroom makeover for her boys at the same time we needed a subject for our May catalog cover. We strive for our covers to portray something sentimental, almost encompassing this 'age of innocence' mentality that quite frankly is sometimes hard to capture through produced shoots. We all felt this connection and true love story between Theo and Beau and believed that relationship struck a chord with our catalog needs." Shyba is also pleased with the partnership. "The neatest part about this collaboration was seeing my friends everywhere posting photos of the catalog on social media and mentioning how nice it was to see Theo and Beau in their mailbox," she says. "It's a professional milestone for me in the greatest way, too, having been commissioned to share my art on the cover of a popular catalog." The catalog cover is beautiful, and it's a lovely case study for brands establishing relationships with rising stars and their eager followings. See the full catalog cover below, and outtakes from the shoot on Shyba's blog.